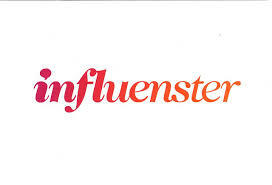 As a member of Influenster.com, I was given the opportunity to try this product for free. From the time I was a small child, I can remember using only one kind of soap for everything from bath time to washing my hands, Ivory soap. As a soap that has been around for over 130 years, parents know it is a trusted brand that not only gets you clean, but it is very affordable as well. 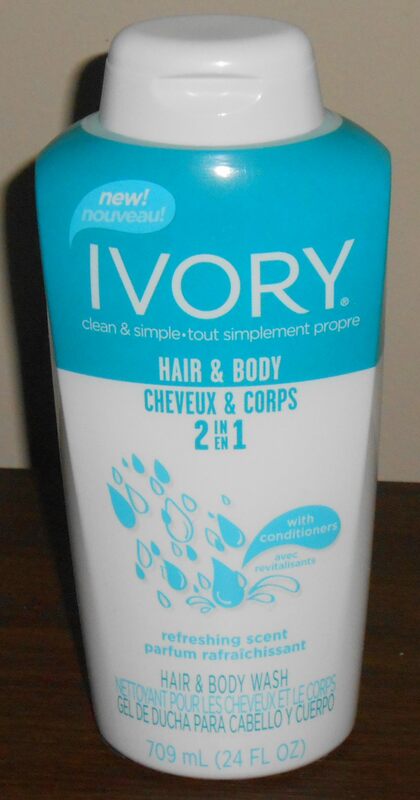 I grew up loving Ivory’s fresh, clean scent, and how it left my skin squeaky clean and soft. As an adult, I still occasionally use Ivory, but more often use the soap my husband uses as a way to save money. Over the years, the Ivory product line has not only changed the packaging, but extended to include not only bar soaps, but also Body Wash, Hand Soap and now, a Two-in-One Hair and Body Wash. As a member of Influenster.com, I recently had the opportunity to try Ivory’s Two-in-One Hair and Body Wash for free in the latest VoxBox. After using it for over two weeks now, I clearly remember why I used to love using Ivory. I love saving money and time as much as the next person, and I can definitely see how using a two-in-one hair and body product would do just that, but I never really cared for using one for several reasons. First of all, it never seemed right to me that a product that was made for skin care should be used on hair. Secondly, since I have naturally curly hair which tends to be on the dry side, using both a moisturizing shampoo and conditioner has always worked best. Lastly, when I find a soap, shampoo and conditioner that I like quite well, I tend to stick with it. However, after using Ivory Two-in-One Hair and Body Wash, my opinion has definitely changed! Like all Ivory products the Two-in-One Hair and Body Wash is free of dyes and heavy perfumes. It comes is a large-sized bottle with a handy flip-up lid that allows you to pour out the thick, creamy soap in just the amount you need. It comes in two different scents, Refreshing and Energizing; I tried the Refreshing scent and found it to be a light, clean scent. I also discovered that a little bit goes a long way both as a shampoo and a body soap! As a shampoo I loved how Ivory lathered up into a rich, thick foam that thoroughly cleaned my hair and rinsed out easily. I was fully expecting it to dry out my hair to the point where I could feel it even in the shower, but in reality, it did not dry it out too bad. However since my hair does need a lot of conditioning, the second time I used it, I followed up with my usual conditioner. The result? Clean, shiny and manageable hair that was not dried out and frizzy! As a body wash, Ivory worked as well as it always has! It takes just a little bit to get a nice lather (I found it worked better when using a loofah or pouf instead of a regular washcloth) that leaves you squeaky clean. Many soaps tend to leave my skin dry and itchy to where I always have to use lotion after bathing, but with Ivory I was able to shower, dry off and skip the lotion altogether. My skin was clean, soft and lightly scented. The only complaint I have, is that it took a few minutes of rinsing to feel like I got all of the soap off, and as I bathed and rinsed, the tub got more slippery than it usually does. Aside from that, I was very happy with my experience using Ivory Two-in-One Hair and Body Wash, and will continue to use Ivory in the future! The benefits of using Ivory Two-in-One Hair and Body Wash go beyond getting clean. Ivory is a wonderful way to save money since it is a very affordable brand to begin with, and you get 50% more in Ivory’s bottles than you do with other Two-in-One brands! And of course, when you use Two-in-One hair and Body Wash, you save even more money since there is no need to buy shampoo. Did I mention it is also a space saver? With Ivory Two-in-One Hair and Body Wash now you only have to keep one bottle instead of a shampoo bottle and either a bar or a bottle of soap! Try Ivory Two-in-One and see how well it works for you! You can find Ivory at mass merchandisers, grocery’s and drugstores at retailers across the country, as well as online at sites like Amazon, Soap.com, Walmart.com and many more. And be sure to keep an eye out in your Sunday paper as there are often P&G inserts with coupon for Ivory to save even more! To find out more about all the wonderful Ivory products, be sure to connect with them on both Facebook and Twitter! Pick up Ivory products on Amazon! I usually see it at my local CVS, Walgreens and sometimes even Publix.